Total Seal's patented Gapless Piston rings provide increased performance and longer engine life. Check out the Recently Listed Piston Ring Filers. Pit Stop USA is The Online Motorsports Superstore! 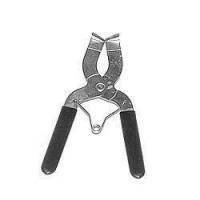 We feature Piston Ring Squaring Tools at low everyday prices. Check out the Recently Listed Piston Ring Squaring Tools. Total Seal Classic AP Steel Top Ring File-Fit Piston Ring Set - Bore Size: 4.1035" - Top Ring: 1/16" - 2nd Ring: 1/16" - Oil Ring: 3/16"
Total Seal Classic AP Steel Top Ring File-Fit Piston Ring Set - Bore Size: 4.1130" - Top Ring: 1/16" - 2nd Ring: 1/16" - Oil Ring: 3/16"
Total Seal Classic AP Steel Top Ring File-Fit Piston Ring Set - Bore Size: 4.1160" - Top Ring: 1/16" - 2nd Ring: 1/16" - Oil Ring: 3/16"
Total Seal Classic AP Steel Top Ring File-Fit Piston Ring Set - Bore Size: 4.1190" - Top Ring: 1/16" - 2nd Ring: 1/16" - Oil Ring: 3/16"
Pit Stop USA is The Online Motorsports Superstore! Total Seal's patented Gapless Piston rings provide increased performance through unmatched sealing of the cylinder and combustion gasses in the combustion chamber. Increased horsepower and torque along with longer engine life are just a couple of the reasons why Total Seal's Gapless A Piston rings are the best rings available. Total Seal is the leader in Piston Ring technology with the ability to meet whatever special needs you may have. 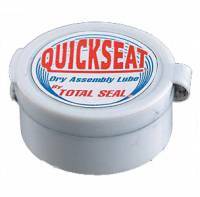 From IMCA modifieds to Nextel Cup and IRL, Total Seal A can fit rings to your piston. Total Seal Gapless Piston Rings provide increased horsepower and torque, longer engine life, save money (fewer teardowns), improved consistency, cleaner engine oil, longer ring life, better oil control, less friction, lower engine oil temperatures, wider torque curve, more engine vacuum and increased intake signal. Total Seal Gold Finish rings utilize tighter tolerances, sharp edge technology and PVD coatings for superior performance. Similar in design and technology to our Diamond Finisha" rings used by the top teams in racing, Gold Finish rings are more economical and were developed specifically for Saturday Night and Sportsman level racers. Total Seal Claimer Piston Ring Sets are specifically designed for racing classes where claiming rules are in affect. Claimer sets feature high quality cast moly top rings, Gapless 2nd rings and Gold power low tension oil rings. Only available in these specific sizes, the claimer set offers unmatched Gapless ring performance at a claimer set price. Total Seal Maxseal Piston Ring Sets feature ductile iron Gapless top rings, conventional or napier 2nd rings and standard or low tension oil rings. Total Seal TS1 Piston Ring Sets feature ductile iron top rings, Gapless 2nd rings & 3 piece standard tension oil rings. We feature Total Seal Gapless Piston Ring Sets at low everyday prices.